We are one of the most established and largest herds in the UK. We offer a full range of services to our clients. This includes males, a range of females, flock guardians and pets for sale and stud services. We also offer full support to our clients both existing and new. In addition we have an online retail store with a range of Alpaca products to suit all occasions. We offer educational courses for beginners and beyond to help breeders on their journey. 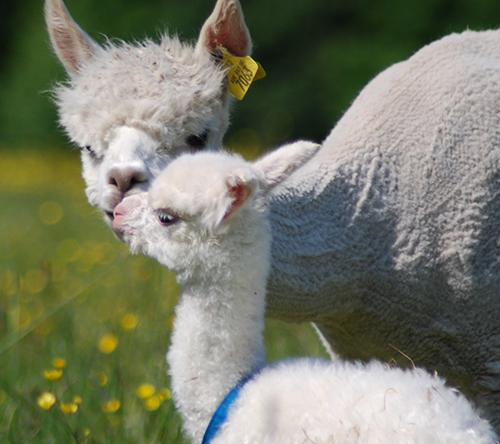 We also offer a full range of Alpaca experiences and walks bookable online. Offering enthusiasts without a herd of their own the opportunity to enjoy them. 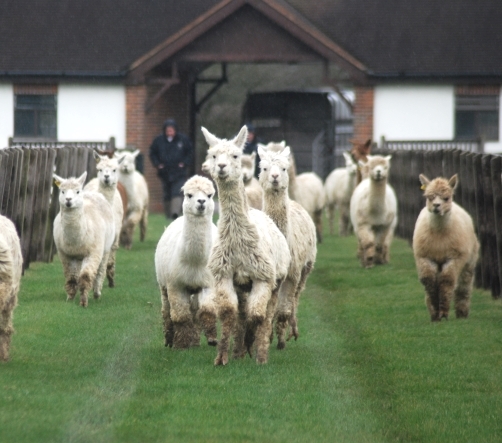 Alpaca Evolution was born as a result of Nick Harrington-Smith and Shirley Isseyegh combining forces in a new bloodstock breeding venture. As a result we are continuing to develop the Alpaca Stud herd and furthermore its legacy of over a decades controlled breeding program. 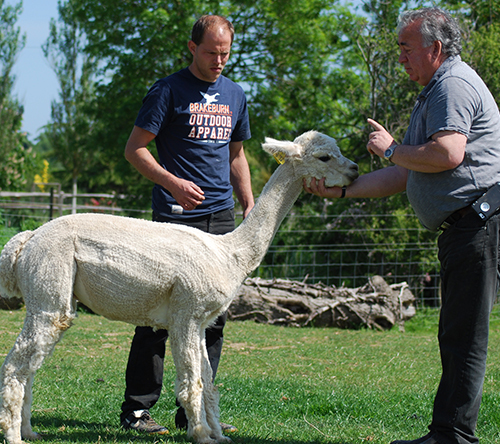 Nick, with a strong background in farming and over 20 years experience in camelids brings a wealth of knowledge and experience. Shirley celebrates her 10th anniversary of joining the industry this year (2019) though never did she imagine they would become such a big part of her life! Both bring plenty of experience and knowledge to be tapped in to. Most of all we are known for quality genetics, the finest of fleeces and an in-depth knowledge of the industry. It is our aim to never to lose sight of our purpose, at the forefront of all we do is a desire to breed for a commercial fibre industry. If you would like to talk more please don’t hesitate to contact us and arrange a visit. 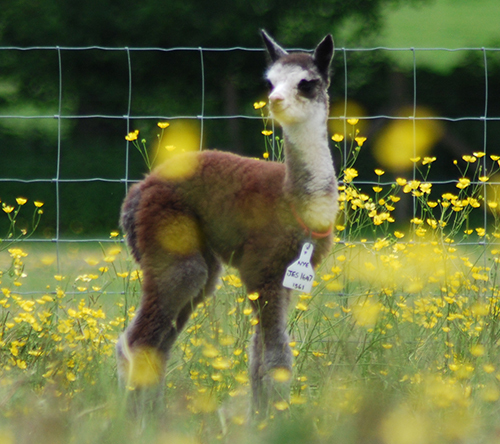 We are proud members of British Alpaca Society.